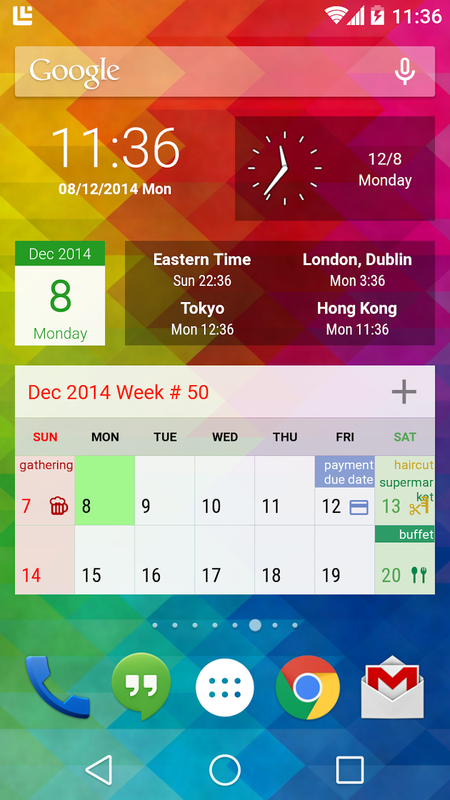 This app include most common calendar functions, and let users manage their schedules easily. 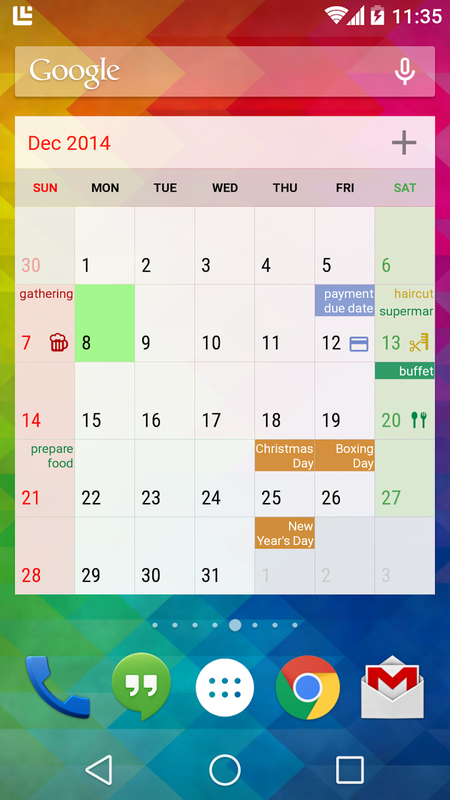 It can be use with Google Calendar. It support daily, weekly, monthly and yearly calendar functions. It support public holiday for +30 regions. Voice reminders (TTS) notify you the event with voice. You can also search the calendar*. Lunar phase, sunrise and sunset time are supported. 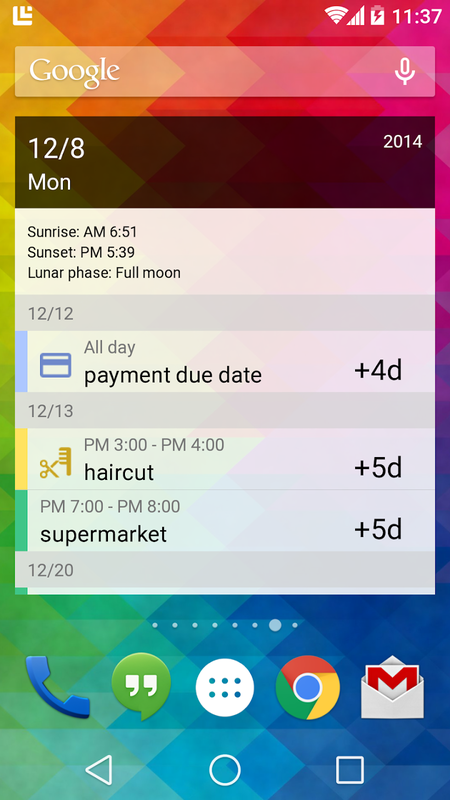 Over 10 widgets are available, including agenda and calendars, clock, world cities time, and sticky note with voice recording feature, counter, Todo list, etc.